I’ve never ridden in one of your events. Anything special I should know before I show up? Helmet is needed to ride the hill during our weekend races. Body protection against falls during racing and practice. Show up early to get the info you need to race so when your group or when you are going to be coming down the hill you can be there. A wrist band is required at all times when riding on the hills during race events. 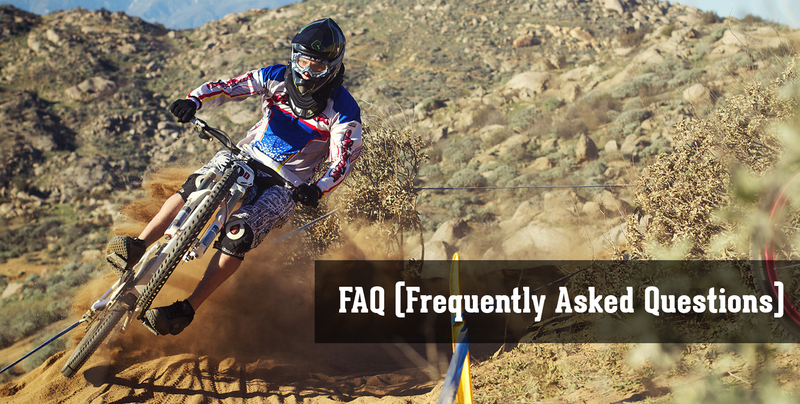 I was wondering if any of the courses (DH/XC/Super-D) are open to riding on non-race days? Yes they are but remember there is no one around to help you if you get hurt. Am I going to be required to have a license to race in expert for DH? 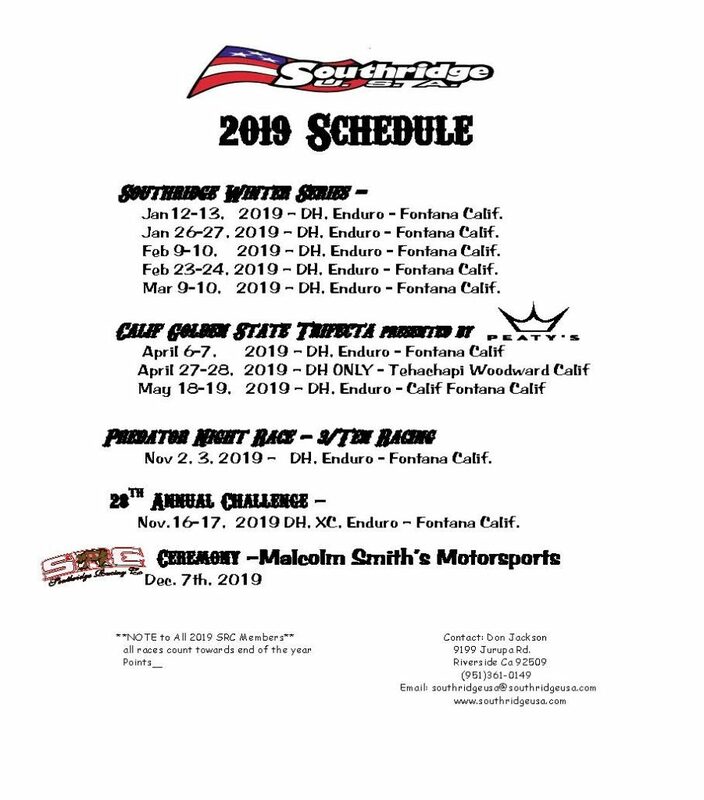 No license is required for any of our SRC races that we put on. The NORBA Nationals will require license for their races. Will the XC course be marked on Friday, and if so is there any pre-riding? Yes, and you can pre-ride the course. I was wondering when the sport men 30-34 cross country will start? We can’t tell you when that will happen since we don’t know how many people will be in front you. So it’s best to be there at the start of the race. Will there be practice and/or shuttles for the Super D? 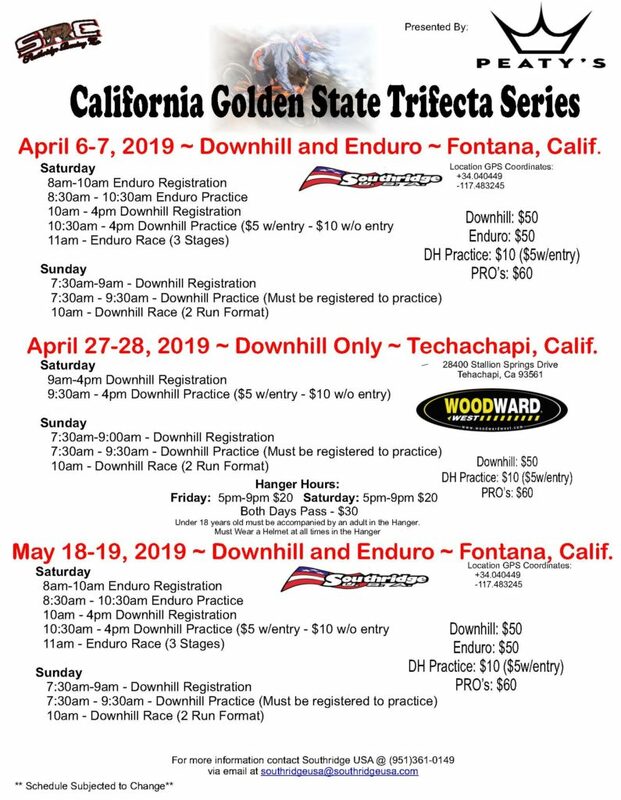 Yes the shuttles will be running for Super D.
I was wondering if you were having RV and tent camping at the course for the weekend race? Officially there is suppose to be no camping at the park, but we will be there all weekend with the motor home so come by and check with us. What time does practice start on Sat, Sun? Sat. starts 11 to about 4. Sun. 8 to 10. Everyone on the hill that rides must sign the wavier for our protection, because we are in charge of what happens there. And everyone must wear a helmet that rides. I was wondering if my friend, who would not race, could participate in the all day practice on saturday? Yes they can, but they will need to sign the wavier and pay the shuttle fee. So for the singlespeed category is there two laps or three? Is there only one singlespeed category this year? Singlespeeds do two laps. There is three classes for singlespeeds. Did you count the National as SRC points? Also, how far down do you award for the end of the year placings? Yes we used the national and we are going 5 deep in each class. How many laps are there in th XC?